I don't know much about the technical side of art. I didn't study art at school or TAFE. There's no point in asking me anything to do with the theory or history of art or different styles. However, I can tell you if I like a piece of art and if I feel something when I look at it. One of my favourite activities is checking out street art. I love that street art is free for anyone and everyone to look at and that I can do so at a time that suits me. Sometimes I find trying to look at all the work on display in an art gallery in the one visit overwhelms me. I find I take things in better if I see a few pieces of art at a time and this is possible when looking at street art. There is a community gallery near my home. I enjoy looking at the varied forms of art including paintings, sketches, textile art, pottery, sculpture and mixed media on display and talking to the artists. 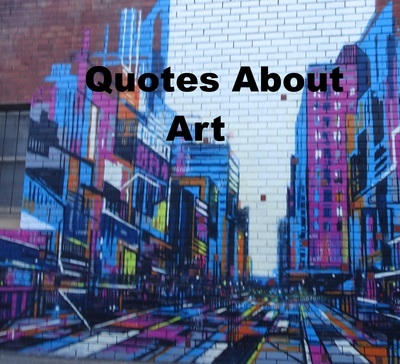 While reading I have come across various quotes to do with art. Some are thought provoking and others give an insight into how an artist thinks and 'sees' things. Possibly because I have to work at overcoming my fear of making mistakes, one of my favourite art quotes is, 'Creativity is allowing yourself to make mistakes. Art is knowing which ones to keep.' There is some disagreement about who originally said this but the general belief is that it was Scott Adams, the man who created the Dilbert comic strip. I am fascinated by art that is a bit quirky. Some of my favourite pieces are examples of where an artist has not been afraid to try something quite different. Is it a mistake or is it creative/innovative? That may be a matter of opinion. Nineteenth century writer, Oscar Wilde said, 'No great artist ever sees things as they really are. If he did, he would cease to be an artist.' To me, Wilde was suggesting the importance of imagination and seeing beyond what is in front of the artist. Perhaps he felt an artist should interpret what he sees and create something beyond the obvious. 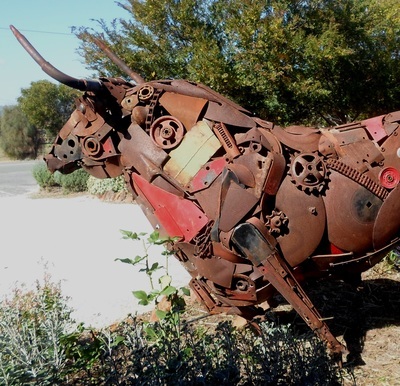 I have seen some amazing sculptures of animals created by welding rusted cogs, tools and broken bits of metal together. The result is not an exact replica of the animal. Perhaps the artist started by looking at a photo of the animal or perhaps he or she worked from memory or a 'picture' in their mind. The emotion or feeling that comes across in a piece of art is very important to me. The artist expresses what he or she feels and the piece of art makes those looking at it feel something too. Perhaps it isn't what the artist felt or maybe it is. Art enriches the world and can act as a means of escape for both the artist and those who view the art. 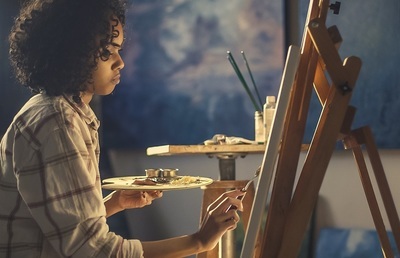 It doesn't matter if you haven't studied art and passed the subject, you can still enjoy it.